As we specialise in steel, all our mobile field shelters are built with a core frame made from galvanised steel sat on a galvanised steel sledge. 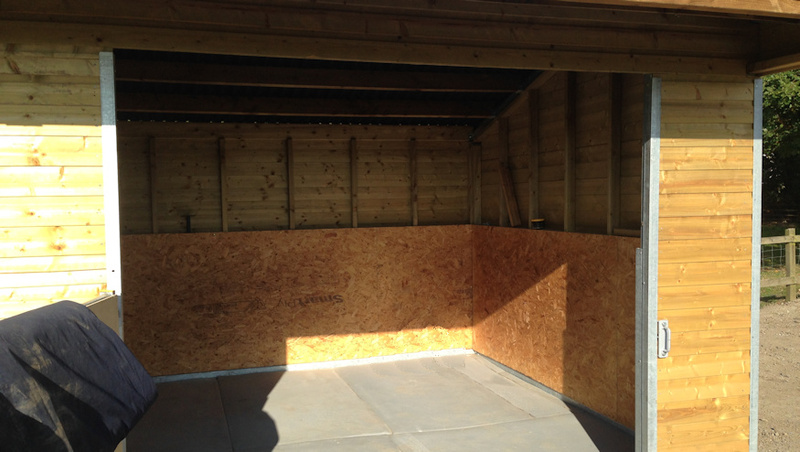 This ensures that the main frame of the shelter will not rot and will stand the test of time out in all weathers. Our shelters are then clad round using 75×50 pressure treated timber and 16mm (finished thickness) pressure treated ship lap, the roof is finished in corrugated onduline sheets and can be underlined upon request.Our kick boards are 18mm. We offer a range of options including partitions and gates so that you can chose the best layout to suit your horses needs. Shelter and accommodation layouts for your horses change with the seasons and the weather. Flexible accommodation makes life easier for both horse and owner. 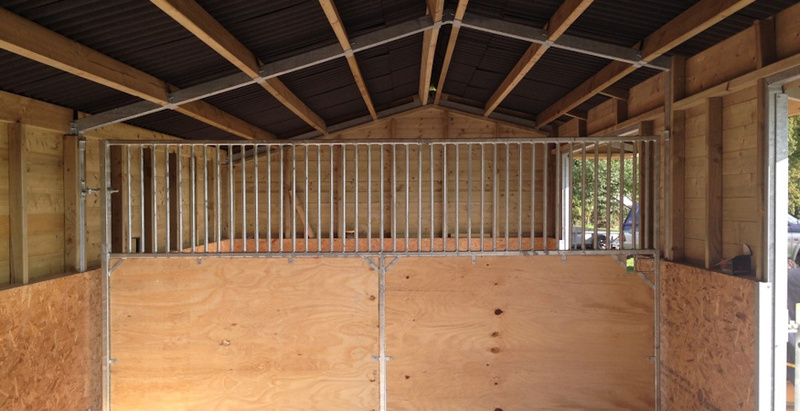 We offer a range of options including partitions and gates so that you can chose the best layout to suit your horses needs at different times of the year. All our field shelters can be supplied to you as a ready to build pack or we can erect and site them for you. Ground works can also be arranged where necessary. Please contact us to discuss the options available to you. Our shelters are available in a range of sizes and styles with several flexible layout options available to suit your horses needs. Please call us to discuss your requirements.